There’s plenty of push for more technology in our schools, despite the fact that the average U.S. teen spends more than 50 hours a week in front of screens. A recently released study that looked at the digital habits of 15 year-olds in dozens of international locations found some sobering results regarding our computer crazed society: students who used computers more at school had lower reading and lower math scores. While the study didn’t find a strong link between home computer use and achievement as indicated by international assessment, the results showed that school systems with fewer computers were seeing larger educational gains. Students in the U.S. were among the top performers in “digital reading” and showed an ability to remain on task when faced with an exercise that involved answering questions from a simulated website. However, some of the other high scoring nations on this digital assessment found that some of the highest scoring nations don’t use computers often at school. Interestingly, the study found that the use of technology has increased among teachers in certain high-performing nations (such as China) even as the computer usage by students within these nations is limited. Teachers in several high-performing countries were using computers to collaborate for lesson-planning as well as to observe classrooms and provide feedback using video technology. 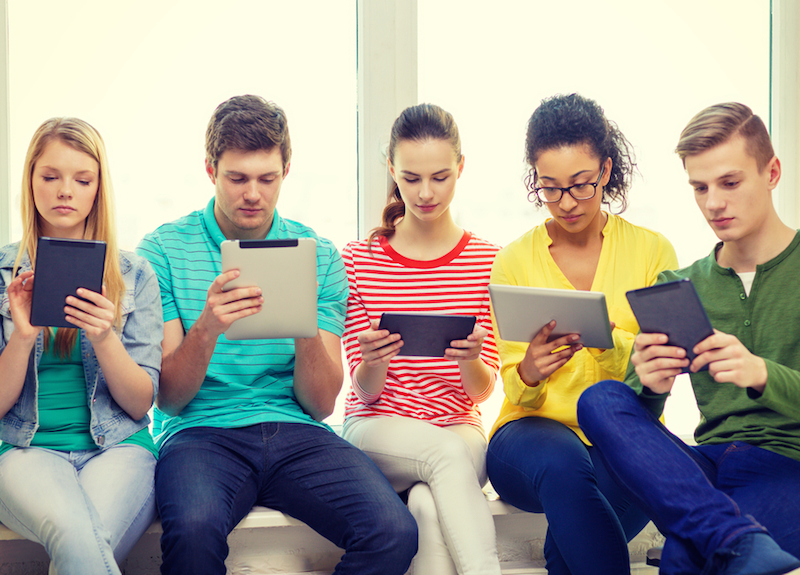 U.S. students are better at digital reading than print reading. The highest performing students in math didn’t use computers at all. Students who used the computer a small amount fared better on the tests than those who had never used a computer with regards to reading assessments, but as computer use has increased beyond said small amount, performance in reading actually declined. The U.S. ranked below the worldwide average on the print math test and average on the digital math test. While proponents of technology in schools argue that tech time in school yields skills that are not immediately or easily translated into achievement increases, the study definitely fuels a deeper discussion of whether having more computers at school and spending more time on them is actually beneficial to students. The study utilized tracked data collected three years ago, when students were arguably using computers at school less than they are now. There's plenty of push for more technology in our schools, despite the fact that the average U.S. teen spends more than 50 hours a week in front of screens. A recently released study that looked at the digital habits of 15 year-olds in dozens of international locations found some sobering results regarding our computer crazed society: students who used computers more at school had lower reading and lower math scores.�While the study didn't find a strong link between home computer use and achievement as indicated by international assessment, the results showed that school systems�with fewer computers were seeing larger educational gains.